For the Indian badminton fan, the very name of the Singapore Open conjures up a heart-warming image of two batchmates and sparring partners at the Pullela Gopichand Academy jousting for the gold medal in the summit clash, and the underdog coming up trumps. 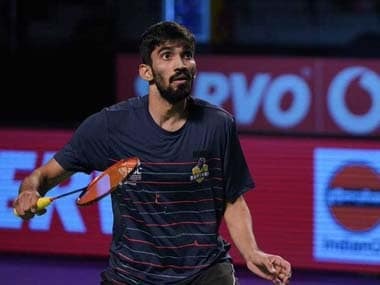 It was in mid-April 2017 that B Sai Praneeth scored a noteworthy triumph over Kidambi Srikanth, a man who was about to leave his own permanent mark in the annals of Indian badminton by becoming the first man from this country to win four Superseries singles titles – in Indonesia, Australia, Denmark and France – in a single calendar year. A win over Praneeth in Singapore would have given the Guntur lad, then 24 years of age, an unprecedented five titles in a single season. Sadly, Praneeth was in such wretched form last year that, by the end of the second quarter of 2018, he was unable to arrest his slide in the Badminton World Federation (BWF) rankings. On the eve of his 26th birthday last year (which fell on August 10), the Palakol (Andhra Pradesh) native found himself going into the World Championships in Nanjing occupying the 26th rung in the rankings, a far cry from the career-high 12th position he had attained in mid-March 2017. Seeded sixth at last year's Singapore Open, the defending champion started his lung-opener brightly against Japan's relatively unknown 23-year-old Yu Igarashi, ranked 61st in the world, but then faded progressively, to be left licking his wounds after a stunning 21-16, 16-21, 18-21 opening-round reverse. The top three Indian players, Srikanth, Saina Nehwal and PV Sindhu, all skipped the competition last year to concentrate all their energies on the then upcoming World Championships. This time, Praneeth has been given the toughest of challenges first up – he faces reigning world and All England champion, Kento Momota of Japan, in the very first round. The player who clears this round will face the winner of the bout between India's HS Prannoy and Frenchman Brice Leverdez. The top-seeded Momota has, in fact, been handed the task of facing a trio of Indians in his first three rounds. 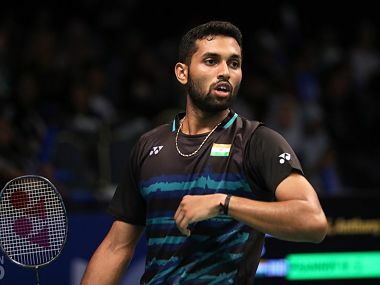 The third Indian blocking his path to the semi-finals is sixth-seeded Srikanth, who faces a qualifier in his first match, and then the winner of the clash between Japan's Kanta Tsuneyama and Danish battler Hans Kristian Solberg Vittinghus. Tsuneyama has been playing rather well of late, and had stretched last Sunday's Malaysia Open winner, Lin Dan of China, to three games in the quarter-finals. If the 22 year old Japanese puts it across old-timer Vittinghus, he will cross swords with Srikanth for the first time in their respective careers. And should Srikanth cross that hurdle as well, his old nemesis, Momota, against whom he trails 3-11 in career meetings, awaits him at the last-eight stage. The fourth Indian in the men's singles draw, Sameer Verma, has been given the kind of draw that should have him licking his lips in anticipation. A qualifier bars his path to the second round, in which he would meet the winner of the match between eighth-seeded Indonesian Tommy Sugiarto and China's redoubtable Lu Guangzu. Verma boasts a 2-1 record against the Indonesian, having beaten him in the BWF World Tour grand finals in Guangzhou in December last year. If Sameer can take Sugiarto in stride, he would move into the last eight stage of the World Tour Super 300 competition, and get to play a quarter-final against the No 2 seed, Chou Tien Chen of Chinese Taipei, who had to embrace defeat at the hands of the recently crowned Malaysia Open champion, Lin Dan of China, in the very first round of that tournament in Kuala Lumpur. While on the subject of Lin Dan, it must be mentioned that a cruel twist of fate has handed the Chinese living legend the toughest of lung-openers at the Singapore Indoor Stadium – against Denmark's Viktor Axelsen. It was the towering Dane who had deprived Super Dan of his sixth World Championship title at Glasgow two years ago, beating the Chinese left-hander by a 22-20, 21-16 scoreline. Axelsen actually leads their career head-to-heads 4-3, with victories in three of their last four meetings. As for the Indian women, PV Sindhu has been given the fourth seeding, and an initial outing against Indonesia's Lyanny Alessandra Mainaky. This should not prove to be too much of a problem for the Hyderabad lass, who would then run into another Indonesian, former junior world champion, Gregoria Mariska Tunjung, or Denmark's Mia Blichfeldt. Sindhu beat the Dane at the recent India Open in the only match they have played, and has not lost to the Indonesian teenager in five career meetings. Should Sindhu get past her second round, she faces eighth-seeded Japanese, Sayaka Takahashi, younger sister of doubles specialist Ayaka. Of course, there is no guarantee of Takahashi making the quarter-final, for she has to first subdue the 2012 London Olympics gold medallist, Li Xuerui of China, in her opening match, and then take care of the winner of the duel between China's Cai Yanyan and Chinese Taipei's Chiang Ying Li, promoted from the qualifying ranks. If Sindhu progresses to the semi-finals, she will most likely take on the winner of the bottom quarter of the draw that features second-seeded Nozomi Okuhara of Japan and India's Saina Nehwal, seeded No 6. Saina has initially drawn Indonesian Yulia Yosephin Susanto, promoted from the qualifiers; and should then run into Thailand's Pornpawee Chochuwong. It is a golden opportunity for Saina to exact revenge from the former world junior runner-up, who had beaten her in the opening round of the Malaysia Open last week. The 29-year-old Indian had not lost to the Thai youngster in four earlier meetings, but succumbed to Chochuwong in three games in Kuala Lumpur, thanks mainly to the weakness she felt in the wake of the prolonged bout of gastritis that had ruined her campaign at the All England Championships last month. Other Indians to parade their wares in Singapore this year would be veteran Parupalli Kashyap and Mugdha Agrey, who will both feature in the qualifying rounds on Tuesday. Two men's doubles combinations, Manu Attri-Sumeeth Reddy and M R Arjun-Shlok Ramchandran, are in the fray; and have been unfortunate in being pitted against strong seeded pairs, first up. The former take on fourth-seeded Indonesians Mohammad Ahsan and Hendra Setiawan, who recently won the All England title; while the latter run into Danes Kim Astrup and Anders Skaarup Rasmussen, seeded sixth. The largely untried pairing of Pooja Dandu and Sanjana Santosh have been fortunate in receiving a walkover from a qualifier in the first round of the women's doubles, but are then likely to encounter the seventh-seeded Japanese duo of Nami Matsuyama and Chiharu Shida. The old reliable Indian pair of Ashwini Ponnappa and N Sikki Reddy is missing from the action. Three Indian mixed doubles combinations will be trying their luck, with the Pranaav Jerry Chopra-N Sikki Reddy being well placed to make at least the second round, since they take on compatriots M R Arjun and K Maneesha in their opening match. The winners of this clash would have a tough time getting past the No 5 seeds from Hong Kong, Tang Chun Man and Tse Ying Suet. One exits this preview of the Singapore Open draws with the sobering thought that at least one world-class player is going to be unceremoniously eliminated on the opening day of the $355,000 prize money World Tour tournament. Will it be the 2017 world champion, Viktor Axelsen, or the five-time (between 2006 and 2013) world champion and two-time (2008 and 2012) Olympic gold medallist, Lin Dan?